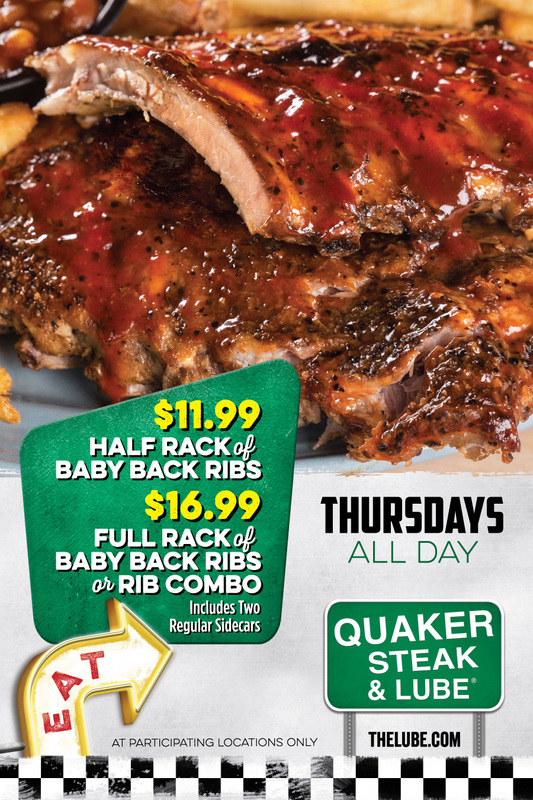 Baby Back Rib Specials At the Quaker Steak & Lube® Restaurant In Sharon, PA! Get Half Rack of Ribs For Only $9.99! Get Full Rack of Ribs For Only $13.99! Get Baby Back Rib Combo For Only $13.99! Includes two sidecars of your choice.